No matter what the industry, industrial companies are constantly searching for ways of improving productivity and quality, and maximizing the efficiency of operational systems without compromising the quality of their offerings or the safety of their operations teams. One of the areas where there are significant opportunities for improvement is quite literally staring them in the face: the human machine interface (HMI) used to control and operate these systems. 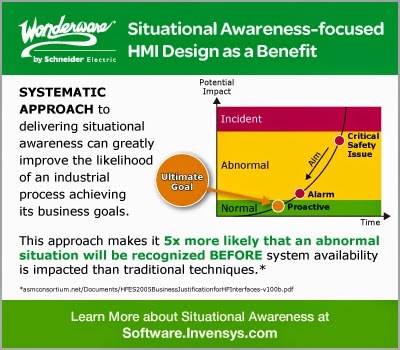 Better HMI designs provide true “Situational Awareness”, which leads to greater operator effectiveness and fewer shutdowns. 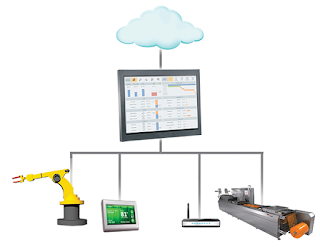 A properly designed HMI application will optimize both the business value and safety of the system they are controlling. 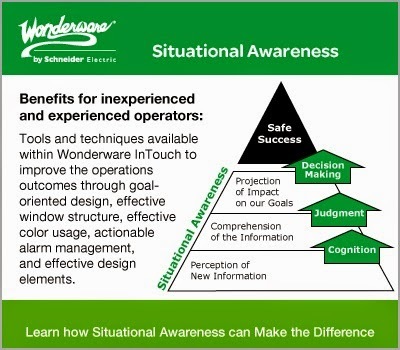 Situational awareness graphics are designed to give operators the context they need to adjust set points or otherwise respond to abnormal situations with maximum speed and effectiveness. Join us to hear how Rio Tinto is applying contemporary Situational Awareness techniques to improve their operations, and also hear how Wonderware Software can help you enjoy these same benefits in your organization.